90′ Burger Yacht “Escapist” was certainly in need of a yacht refit. The existing raw water intakes aboard this vessel had become extremely corroded to the point of failure, as you can see in the images. 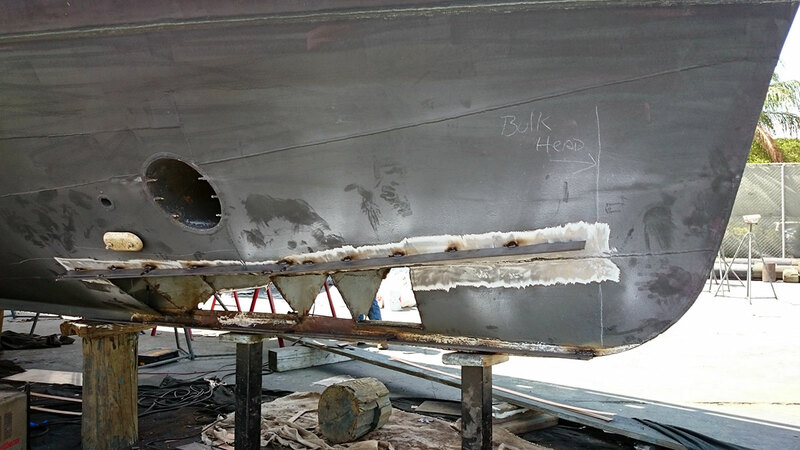 Dolfab Metal Fabricators was brought on board to create new, more durable raw water intakes for this vessel. Raw water intakes pull water in to cool the engine, and if perforations are present in the piping then air also gets pulled in, and the cooling is not nearly as effective. This will lead to engine overheating and damage. The raw water intakes aboard this 90′ Burger yacht were extremely corroded and in dire need of replacement. The experienced crew a Dolfab created Curpronickel intakes and installed to to get this yacht back operating condition.